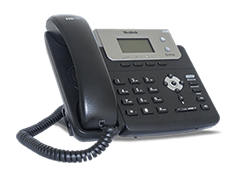 Your daily operations are directly affected by the telephone features your small business can access. For example, voicemail is something that’s used on a daily basis. Yet, traditional voicemail systems can be archaic and frustrating. It’s easy to assume that voicemail frustrations are a necessary part of doing business. However, some voicemail hacks can improve how your team interacts with clients and communicates with other employees, while also saving time. Find out how Ooma Office’s free tool to combine voicemail and email can improve your workday. There are voicemail to email services that small businesses can purchase on top of their existing telephone plan. However, if you’re using Ooma Office, all users get access to a robust set of available features, including tools to improve voicemail management, such as voicemail to email, at no additional cost. 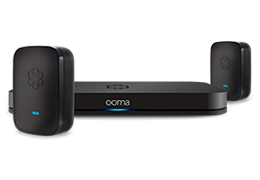 Ooma Office is a small business phone system with internet-based technology powering phone calls behind the scenes. While users can have a traditional desk phone experience, the digital infrastructure allows for creative applications that can streamline productivity, including on-the-go access via the Ooma Office mobile app. With the voicemail to email tool, users can easily set up their preferred email address. Then, audio files of voicemail messages are forwarded via an email attachment. When voicemails are sent via email as MP3 files, there’s a dramatic improvement in the ways users can interact with voicemail. Find out the seven key ways small businesses can benefit from the voicemail to email functionality of Ooma Office. More isn’t always better when it comes to business operations. Instead, streamlining communications into a single channel can reduce workplace chaos and improve productivity. After all, highly productive people aren’t known for inefficiencies and duplication. Using the voicemail to email feature effectively combines your voicemail box with your email inbox. Rather than checking one location for audio messages and another for written emails, your email inbox becomes the single portal for fielding messages. In an era of near-instant communications, checking voicemail through traditional prompts can be frustratingly slow. Voicemail to email is an easy way to speed up message retrieval, allowing users to bypass the traditional voicemail retrieval process through number codes for new messages, or codes to replay, delete, or save a message. Another problem with traditional voicemail systems is that users must listen to messages in the order that they were received. This limited interaction format forces users to follow sequential order rather than having the authority to address voicemail messages based on their priority. When voicemails are received via email, users can choose which message to listen to first. For example, you don’t have to listen through the 7pm update from your tech vendor to get to the 9am project request from your boss. Voicemail to email improves your flexibility, letting you check your voicemails from any device, using whatever app is convenient for you. Listen to voicemails within your email client, from your web browser, on your desktop computer at work, from your home laptop, or from a mobile device. Moreover, listening via email isn’t your only option. The Ooma Office mobile app provides remote access to your work phone. Therefore, along with being able to make and receive calls from your personal mobile device using your work number, you’ll also have one-touch access to Ooma’s voicemail portal. Do you want to fast forward through a rambling message to hear the callback number? Do you want to replay a segment of a message to confirm the details? When your voicemails are MP3 files, you have the digital tools to jump throughout a message to hear just the portion you’re interested in. The improved control inherent in working with digital files reduces the frustration that can be associated with long-winded voicemails, and it can also add up to major time savings. Consider the situation when a top client leaves a voicemail message that explains detailed specs, or a partner leaves a message with a multi-part request. Rather than that message being sequestered to your voicemail system, digital voicemails in your email inbox makes it easy to forward it to a coworker or start a group email thread about how to field the request. The message can be sent to as many people as you want and listened to as many times as you want. Voicemail inboxes typically provide very few tools for saving messages or archiving them. This presents problems for industries such as law firms, financial services, or educators where detailed documentation is required to accommodate regulations, legal procedures, or child safety codes. When voicemail recordings are received as MP3 files, the messages can easily be saved, archived with client files, or used to create time logs. This dramatically improves previous documentation processes of a jotted down note to being able to reference back to the actual recording that was left. An archive of voicemail files gives you the tools to re-listen to the message next week, next year, or in five years. Businesses using Ooma Office consistently tell us they appreciate the many advanced features included with the phone service. As small business owner Ryan Powers explains in the video below, Ooma stands above the competition with its many included telephone features priced at an affordable rate of just $19.95 per user. Listen to Powers explain why Ooma is a great tool for his small business. Voicemail to email is just one of the ways Ooma Office can help your business improve how it communicates. Learn more about Ooma Office to find out how it can help your business communications.